IBB Polonia London never ceases to amaze this season. 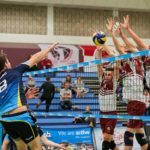 After the spectacular results in the CEV Challenge Cup, they would like to announce that the very popular “Igla” has signed as a player for The Club. In English “The Needle” which is a corruption of his last name, reflects the accuracy with which he has always played during his career. The news of the spectacular transfer echoed around the world of sport. 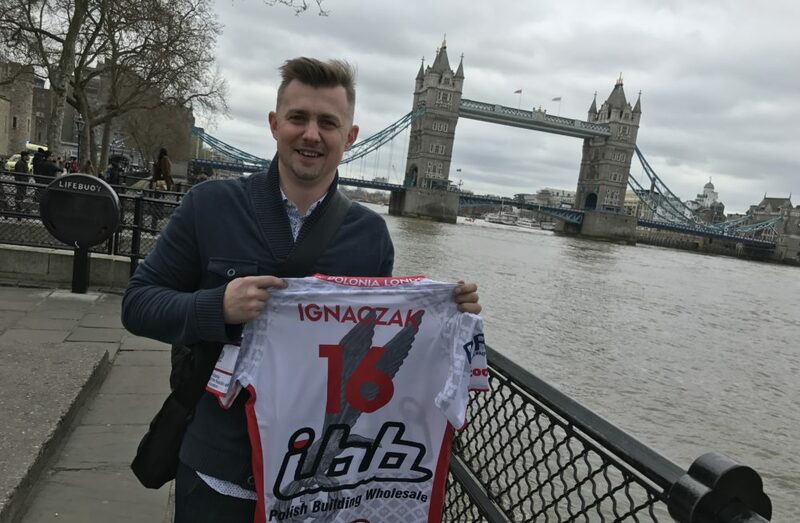 Krzysztof Ignaczak himself isn’t concealing that he always dreamt of playing abroad. He writes about his role in the team, the supporters and his relationship with the English Super 8 league. Is the transfer of such a legend of volleyball to IBB Polonia London and for such a short time, sufficient to help build English volleyball? Polish people taught Italians how to play volleyball. We would also like to help English people to develop in the same direction. Both I and President Luszcz would like the English league to progress and strengthen. Volleyball is still an amateur sport, but Brits want the best level of sport on a grand scale. Introducing one player isn’t enough to transform things in such a manner, but it could be the catalyst. If we could bring a few stars of the sport, the level would improve. One visit to London is not enough, but I am sure there may be more. I anticipate being a regular traveller between Rzeszow and London. So are we to anticipate a long-term relationship between yourself and the club? I would like this to develop into a long-term relationship, but both sides must be in agreement. I like the openness with which President Luszcz has been thinking and how he has been seeking a solution to improve the British perspective towards volleyball. The development of the sport is a very interesting project which I would like to add to my list of tasks. Our sport has a massive potential in the UK and we want to open the eyes of the population. I will eagerly share my knowledge, my experience, my ideas, and not only on court. So this time, you will actually play as receiver, and not libber? My position has not yet been finalised. It is all up for discussion with the coach, but we will see how it goes during training and where I can help. I am joining the team, but I don’t want to take anybody’s position on court. Helping on court is one thing, but the club is also hoping for some PR work. Will you have time to meet the supporters, sponsors and leaders in the sport in the UK? I will have some time in London between training and matches. I have agreed with the President and Coach that I am at their disposal. If they would like to organise some meetings, to introduce me to somebody, to show somebody how our sport works, they can count on me. It’s one reason why I have come to London. I have already met the Consul General and the headquarters of the main sponsors IBB. Will the home venue be full to the brim for the matches that you will play in? I know what the aims are for the playoffs and I feel confident that it can be achieved. The fans are very interested with my arrival and the semi finals will be a great chance to fill the hall. The finals will be played in a bigger hall. I hope that with the help of the media promoting the events, Polish and British fans will come and support both teams. In the English league, the number of fans is fewer than in Poland, but they are very loud. Are you counting on support from the stands? Everything that the fans do is a massive help and I look forward to seeing and hearing what they do in London! I love the support. I became convinced of this over nine seasons in Rzeszow in Poland. Their spectators are one of the largest in number, not on in Poland, but in the World. I am sure the fans here will be just as vocal. Krzysztof Ignaczak was born in 1978; he is a reigning World Champion, ex-European Champion and winner of the Champions League. For most of his career he played as libero, but he will restart his volleyball career as receiver. He is one of the most popular sportspeople in Poland.